Vastly OP in current rendition. 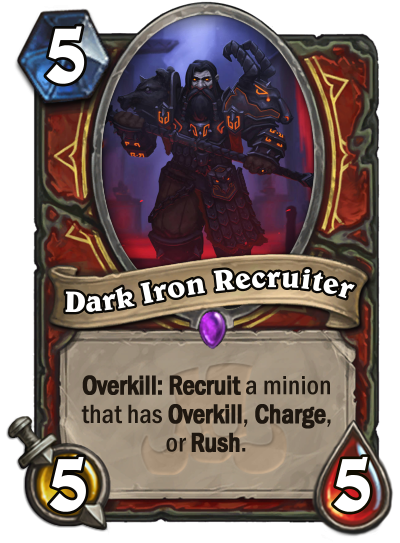 5/5 is already good stats for a 5 mana, but tutoring a grommash or a charged devilsaur gives u a huge amount of damage for realitivly cheap. If this cost 7 it would still be OP, i guess maybe put a cost limit on the recruit?